Fox Mulder believes. He believes in aliens, in monsters, in the paranormal, in the supernatural. He believes that the unexplained has an explanation that defies logic. He believes in a vast, complex government conspiracy designed to cover up the existence of aliens and their abduction of humans. It is that conspiracy that led to the disappearance of his sister, Samantha. That belief, that desire to find out what happened to his sister, is what has driven him and his life's work. 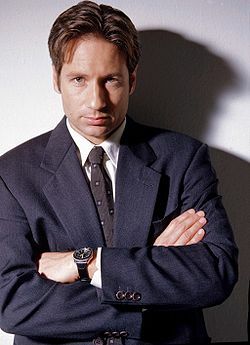 It has brought him into conflict with his family, friends, work colleagues and with his partner and closest confidant, Dana Scully. However, Mulder is no wide-eyed conspiracy lunatic. He has a degree in psychology from Oxford University in the UK. He was a rising star in the FBI's Behavioral Science Unit, where he impressed his superiors with his ability to psychologically profile criminals. When he discovered the X-Files, his life changed. He found a way he could find out what happened to his sister and expose the people responsible for her disappearance. 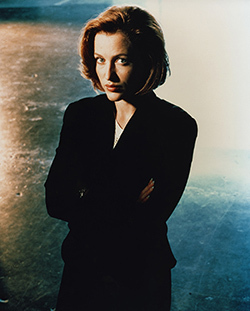 Dana Scully is a the yin to Mulder yang. Where Mulder seems eager to believe every crackpot story that comes across his desk, Scully is maddeningly skeptical. She is initially assigned to monitor Mulder and reign in his enthusiasm. More exactly, she was expected to debunk Mulder's work and prove the non-existence of extra-terrestrials. Scully executed her assignment to the best of her ability, though the results were not always what her superiors wanted. While ensuring that Mulder's work was scientifically sound, Scully also began to see the work of a shadowy cabal of powerful men, the so-called "Syndicate." Her work in the X-Files also put her in danger. She was kidnapped by a (possibly) deranged ex-FBI agent named Duane Barry and then (maybe) abducted by aliens. She was returned, but later on was diagnosed with cancer, a potential after-effect of alien experimentation and biological tests. Her sister, Melissa, was accidentally murdered by Syndicate assassins when they mistook her for Dana. Despite their differences in opinion regarding unexplained phenomena, Mulder and Scully grew close and worked well together. As Mulder put it, she "kept me honest." They eventually did engage in a romantic relatioship, one that result in the birth of a child, William. Fearing for the child's life, due to the machinations of unknown conspirators, Scully gives the child up for adoption. When Mulder is framed and then convicted of murder and subsequently goes on the run, Scully goes with him. 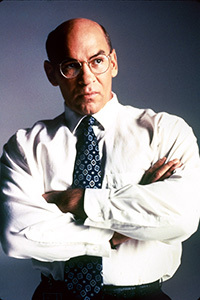 When Walter Skinner was first introduced, fans didn't know what to think. It appeared he was yet another foe, a bureaucratic pedant beholden to his superiors. It seemed he existed only to serve as a roadblock to Mulder and Scully. But as the show progressed, Skinner became a more complex figure, a man riding a fine line trying to appease his bosses as well as help Mulder and Scully uncover the truth. As with Mulder and Scully, this placed his life in danger on several occassions, including one episode where Krycek uses nanotechnology to theaten Skinner's life.